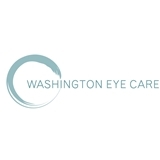 Washington Eye Care (Bellevue) - Book Appointment Online! Whether you are coming in for a diagnostic eye exam, a consultation for cataract or eyelid surgery or if you need expert specialized medical care, Dr. Chen and Dr. Hong, with their experienced ophthalmic certified staff will assist you every step of the way. In addition to sub-specialty care, we offer comprehensive eye exams, screening for a broad spectrum of eye conditions and problems, with emphasis based on your individualized past medical and family history. Using the latest technology in diagnostic and examination equipment, we assess the overall health of your eyes beginning with a detailed description of your current eye symptoms, as well as your general health. It was excellent, as. Will say in my review to them! Very thourough. She remembered me wanting to work in my shop from our last vist ... She listens. She is a very pleasant person.